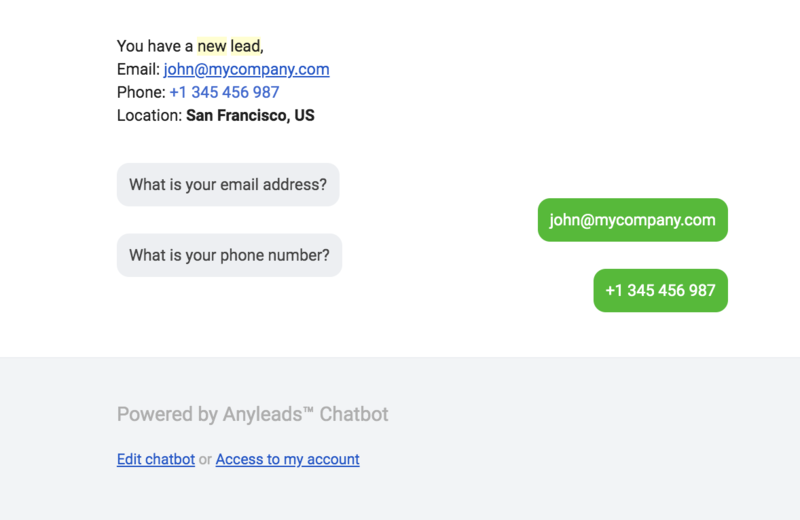 Sales chatbot - Send email, sms..
send the data to your email, or to SMS mobile phone or to a Slack channel. You can trigger to send all the data collected from the visitor to a specific list of emails. Get directly the summary of the data by SMS mobile phone. This will help you to capture the data of your visitors and get it directly by SMS on your phone.